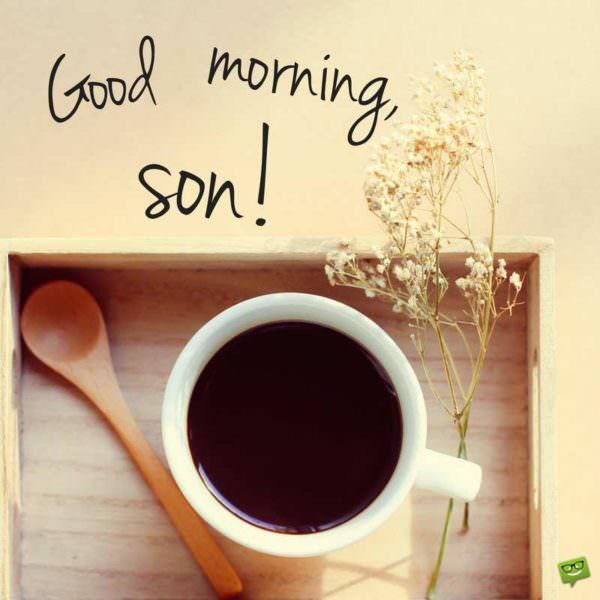 Good Morning Quotes for your Son and Daughter | GM, guys! 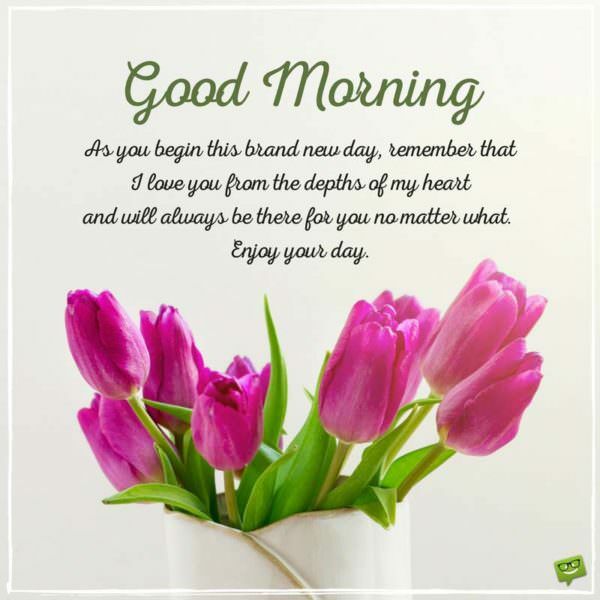 Good morning quotes play a very important role in encouraging and motivating us to begin a brand new day with determination, hope and great enthusiasm for life. 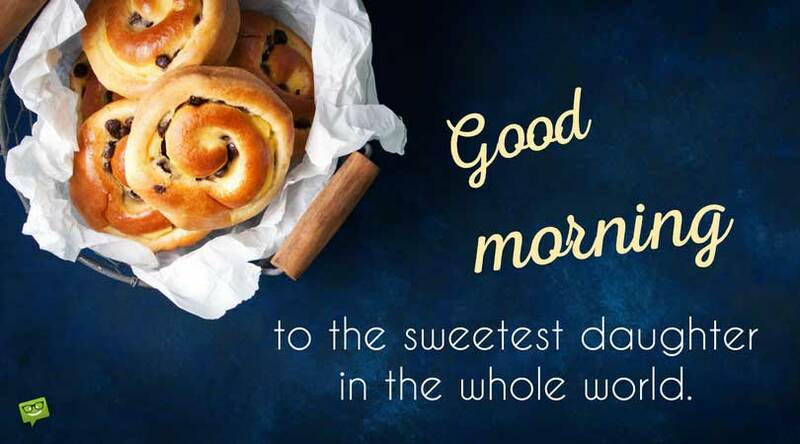 It therefore goes without saying that if you want to brighten your daughter or son’s day and motivate them to start their day right, you should send them a beautiful and meaningful good morning message. Here, we have published one of the finest compilations of meaningful quotes that parents can send to their children. Parents, these quotes will not only motivate or inspire your boys and girls, but they will also make them feel they always have somebody who thinks about and cares for them. Good morning, my dear. I wish you great success in your studies. Remember that I love and adore you with all my heart. No matter how tough things might be for you in your studies, don’t forget that with hard work and determination you will come out successful. Good morning to you. One thing about this life’s journey is that it doesn’t matter how slow you go but as far as you don’t give up, you will successfully get to your destination. Dear, we have no doubt that you will make us proud. Good morning. You are the most intelligent person I have ever known my entire life. Therefore I have no doubt that you will surly excel in your studies. Good morning. Succeeding in life is as simple as always believing in yourself and never giving up regardless of how tough the going gets. Dear son/daughter, we want you to know that we believe in you and know that you will continue to make us proud. Good morning. Don’t let the negative things people say about you discourage you in any way. Just be yourself and put every meaning effort in whatever you do and you will succeed. Good morning. Good morning, love. As you begin this brand new day, remember that I love you from the depth of my heart and I am ever willing to support you in everything. Enjoy your day. I have no doubt that the lord has blessed you with an amazing job just for you to prove to the whole world what you are truly made of. Make us proud dear. Good morning. You shouldn’t let the stress of your work weigh you down. You have to gather courage and keep on pushing until you finally get to the top. Know that I am strongly behind you all the way, my dear. Good morning. Hardworking people like you achieve great success in their lives, which is why I am hundred percent confident that nobody can stop you, my son/daughter, from achieving all the goals that you have set for yourself. Good morning. Good morning to the sweetest daughter in the whole world. Don’t begin your working day with regrets of what you weren’t able to achieve yesterday but begin it with a positive mindset, knowing that nothing is impossible for the willing heart and determined mind. 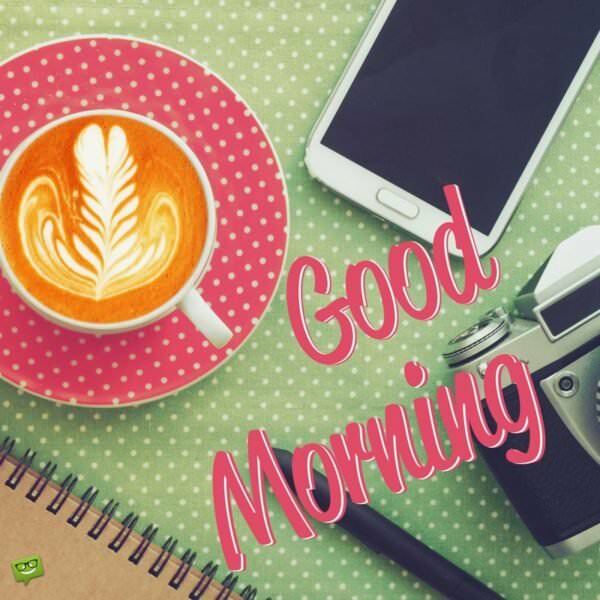 Have a good morning. Good morning, my love. As you begin this lovely day, I want you to have it in mind that hard work really pays off. Keep on working hard and believing in yourself and you will surely be successful in life. 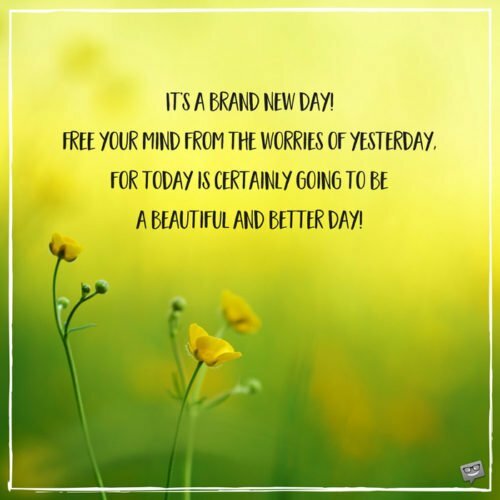 Instead of letting the disappointment of yesterday weigh you down, think of how to make your today and tomorrow better for yourself. Good morning, my dear. If you have everything so easy in life, you will lack experience. This is to tell you that never give up in anything you do, even when things become tougher than you expected. Good morning, son/daughter. Good morning, my dear. It is my prayer that you remain happy in your marriage for the rest of your life. I love you dearly. We are very excited to know that things are working perfectly well for you in your marriage. It is our wish that these sweet moments of yours last forever. Good morning. Understanding and endless sacrifices are the secret to every successful marriage. I wish you the best in your marriage, my dear. Good morning. I want you to know that I have never doubted your capabilities therefore I know that no matter how tough things become for you in your marriage, you will do everything possible to make it work. Good morning. On this fine morning, my dear, we just want you to remember that there will always be a light at the end of every dark path. We’ll always be here for you. Good morning. Wherever you are at this moment, I want you to take good care of yourself. I really wish you an amazing trip. Good morning, and do have the time of your life. You are very special hence you deserve nothing but the best in life. Therefore it is our prayer that the Lord will watch over you wherever you are and bring you home safely to us. Good morning, my dear. How I wish I could be with you on this trip to create unforgettable memories with you. But all the same I wish you a safe and memorable trip. Have a good morning my dear. Next time when you are going on a trip, I will follow you so that I wouldn’t miss you as I am missing you right now. Remember I love you more than you can ever imagine. Good morning. I hope you are having a fabulous experience on your trip right now. Enjoy yourself, Good morning, and be safe. Your absence has really made me bored but all the same I am very glad you took this trip. I sincerely hope that you enjoy every single moment of your trip. Good morning, my dear. Although you’ve only been gone for just a few days, to me it feels like you have been away for years. I truly miss you, my dear. Have a wonderful time there. Good morning. Honey, I just can’t wait for the day you will return from your trip because I am missing you already. Have fun but with caution. Good morning. 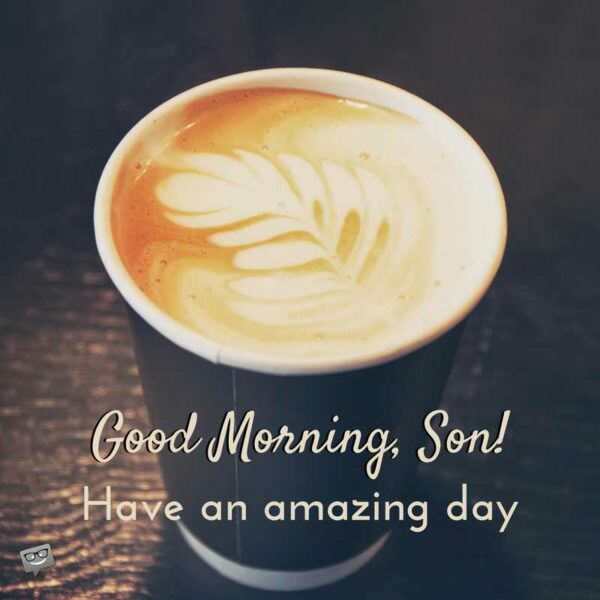 Good Morning, Son! 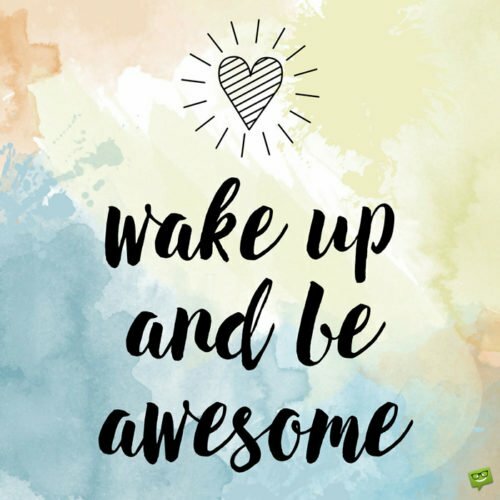 Have an amazing day.